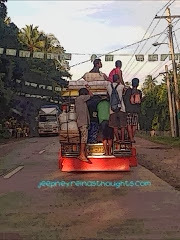 Jeepney in the province typically looks like this. It may have baggages strap all over it. Passengers ride inside the jeepney, at the back and even at the top of it. Jeepney route in the province may only took 2-4 trips a day that they maximize every trip with a lot of passengers the jeepney could accommodate. I once experienced riding a jeepney on top of it and I enjoyed it very much. Being on top the jeepney is the spot wherein the dust could not reach you when traveling a very rough and dusty road. This could only be experienced in the province because this is not allowed in the city. Well for me, riding a jeepney in the province is a must-try experience. Accident-free city, maybe this is what the mayor of the city have in mind when he strictly implemented the speed limit. Within the city proper it is now only 30kph, yes as slow as 30kph wherein like the speed of vehicles strolling in the tourists spots. Though it is a bit slow but I like it for it is a prevention measure from accidents. With this implementation measure, the accident rate in the city lowered. This only proves that this new city ordinance brings out good results. Accident happens in a split of a second and this inevitable event brought out damages to properties, personal injuries and cost the lives of men. Philippines belong to the third world country and health care services is not always accessible during accidents when it is needed most. Injury lawyers like Hawaii Injury Lawyer is not also common here. I think it is only right that prevention to accidents like speed limit should be implemented because if accidents happen it is already too late. 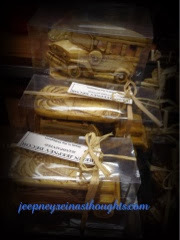 While strolling on the mall, I was able to pass by these jeepney decors and thought of sharing it with you. This product really is a "tatak Pinoy" (Philippine brand) and it could be a good souvenir. 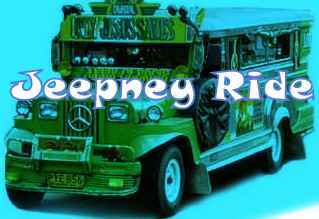 Jeepney is present in the daily lives of most Filipinos, that when you say Jeepney you can't help but remember Philippines.